Experience life in a traditional hutong neighborhood in Jinan City. Jinan is in the Shandong Province in the People’s Republic of China. This film was created by ChinaVine research partners at the Shandong University of Art & Design. The film depicts the transition of life in hutongs to the construction of high-rise living in Jinan City. 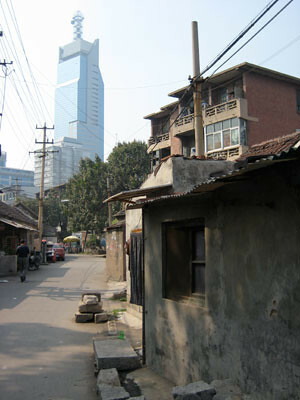 The old streets are being replaced with new buildings, thus replacing the historic tradition of hutong neighborhoods. Take note of the historical architecture and surroundings of the hutongs, people, and ways of life found in the hutongs of Jinan City. Do you think these particular neighborhoods and their customs necessitate preservation?